Successfully Added Adaptor Plugs for CVEAB-S828-ACC to your Shopping Cart. This item is the ataptor plugs that are included in item CVEAB-S828-2. 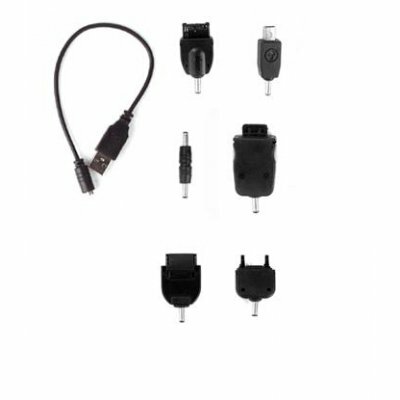 The kit inlcudes adaptors for a variety of consumer electronics charging connections including (but not limited to) Nokia phones, mini USB, Sony Ericson phones. For full description refer to CVEAB-s828-2 product page.